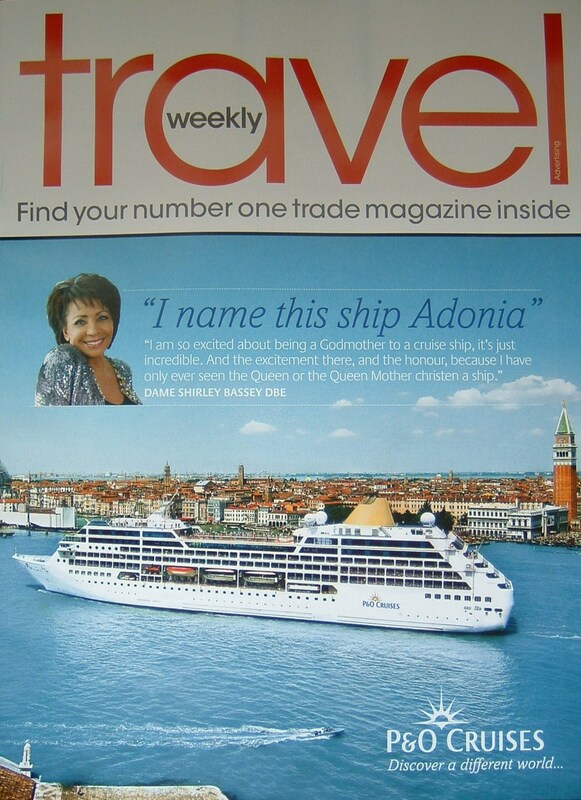 It must also be a great honor when you are Godmother of such a beautiful ship as The Adonia !! 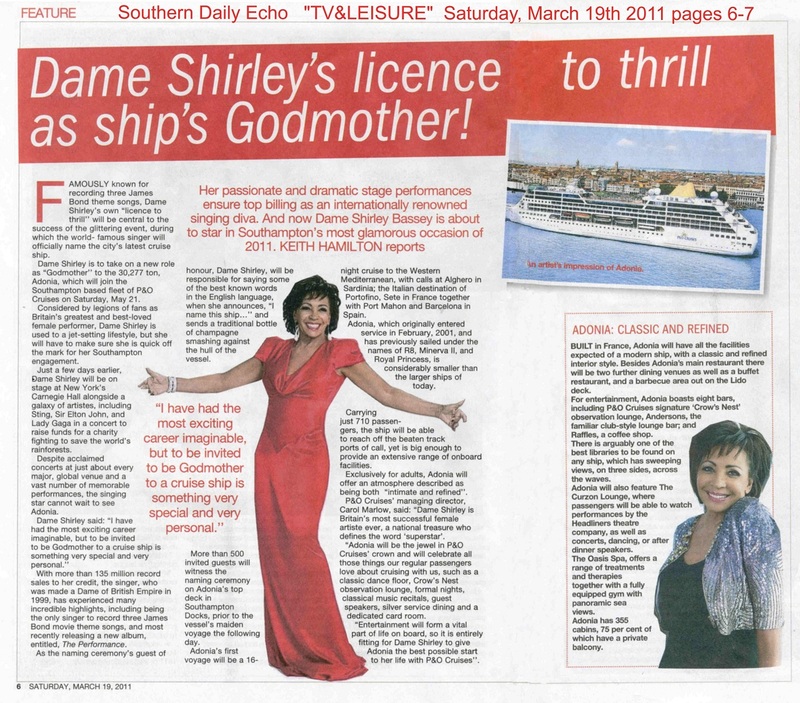 And Dame Shirley Bassey is a diamond that shines everywhere, for now and forever !!! Thank you Pieter. Yes, this was a great honor for her. 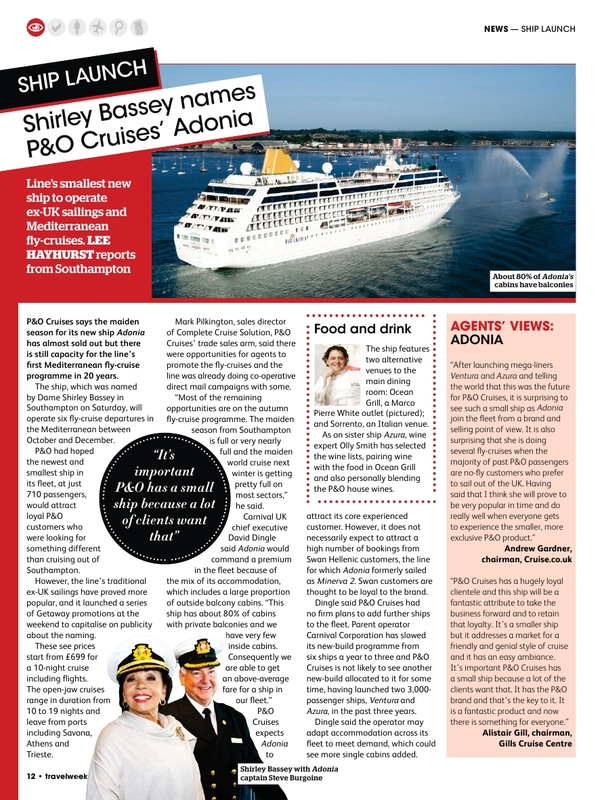 DSB makes a great ambassador and in this case cruise ship GODMOTHER. She presents herself with intelligence, style and class. What a great sense of humor also. Thanks again.